High Quality Content by WIKIPEDIA articles! 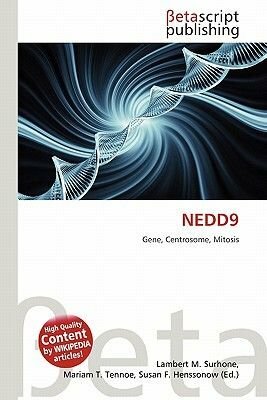 NEDD9 is a protein that in humans is encoded by the NEDD8 gene. (In Saccharomyces cerevisiae this protein is known as Rub1.) This ubiquitin-like protein (ULP), which becomes covalently conjugated to a limited number of cellular proteins in a manner analogous to ubiquitination. Human NEDD8 shares 60% amino acid sequence identity to ubiquitin. The only known substrates of NEDD8 modification are the cullin subunits of SCF ubiquitin E3 ligases. The NEDDylation of cullins is critical for the recruitment of E2 to the ligase complex, thus facilitating ubiquitin conjugation. NEDD8 modification has therefore been implicated in cell cycle progression and cytoskeletal regulation.